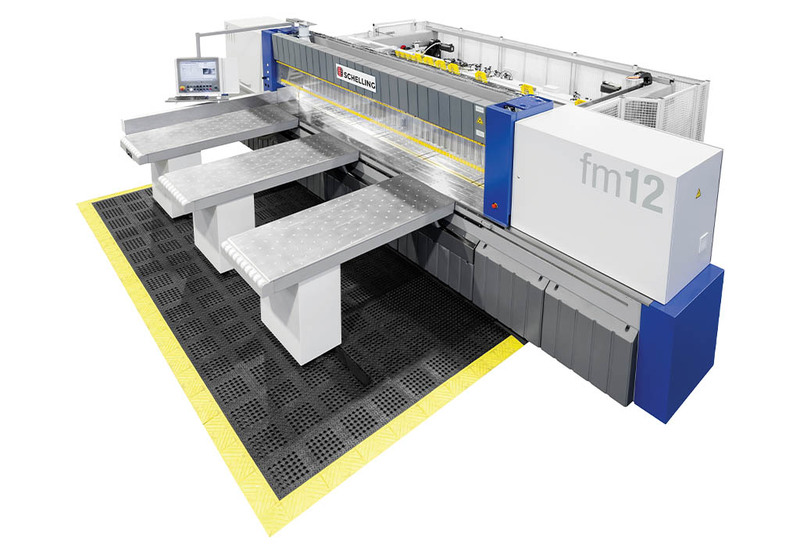 RALEIGH, NC Schelling America, Inc., an international manufacturer of plate saws for non-ferrous metal cutting, recently announced that it will be hosting live demonstrations of its new fm12 plate saw in its Raleigh, NC showroom. “The Schelling fm12 is a versatile nonferrous metal plate saw engineered to deliver extremely high cutting performance with impeccable precision,” explained Stephen Bailey, Sales Manager, NF Metals / Plastics / Steel, for Schelling America, Inc. “It’s designed to cut all types of non-ferrous metal and operates with exceptionally high cleanliness in both the direct cutting area and its peripheral range.” The new Schelling fm12 is available for live demonstrations in Schelling’s recently completed, 10,000-square-foot showroom in Raleigh, NC. While visiting the showroom, hands-on training with the machine is also available through direct interaction with the Schelling staff. With its robust 90 HP motor, the Schelling fm12 plate saw delivers exceptional cutting performance. The fm12 has a book height up to 10" (254 mm), with a patented CLEAN-UP function that removes 99.5% of chips, increasing precision while protecting plate surfaces. Schelling’s new pressure beam system ensures secure material clamping, while air flotation tables simplify heavy plate handling. The fm12 can also be operated independently or as part of an integrated automated production system. For more information, visit the company’s website at imaschelling.us or call 919-544-0430.